Noblesville residents now have access to a picturesque view of the White River along the newly opened Riverwalk trail extension located behind Riverside Cemetery. 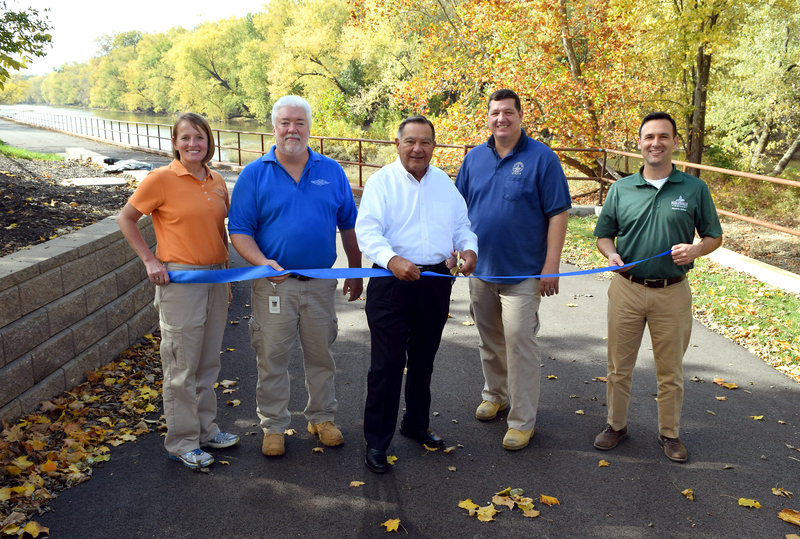 City leaders officially opened the southern section of the trail off Maple Avenue on November 1. Beneath the trail pavement, 1,100 feet of 60-inch conveyance sewer pipe was buried as part of Noblesville Utilities’ Long Term Control Plan Phase III, Division III that began in 2014. This allowed the city to reduce or eliminate any combined sewer overflow by creating the new route from Maple Avenue to the Noblesville Utilities Treatment Plant. 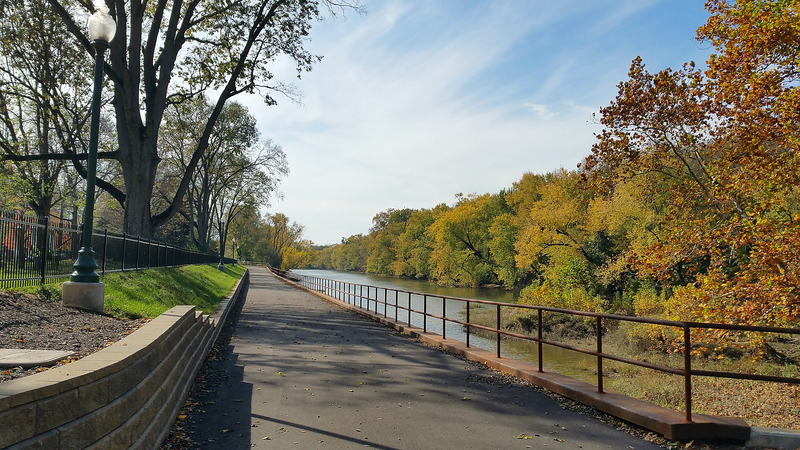 To create the pipeline and trail from the vacant weeds and brush riverbank, crews installed a new permanent retaining wall, which is stabilized with 3-inch threaded rods connected to 20-feet deep I-beams. The city’s long term control plan Phase IV will begin next year. It and Phase V involve the separation of storm and sanitary sewers on the north and south sides of Old Town. Thompson said future plans call for the trail to extend south from Division Street to the potential Pleasant Street extension. The trail includes street lights and three benches for patrons to sit back and view nature and wildlife. It will connect with the existing Riverwalk along the downtown bank of the White River. Hamilton County and Noblesville will hold a joint groundbreaking for the Riverwalk Phase III, the final portion of the project, at 2 p.m. Friday, Nov. 4 behind the Hamilton County Judicial Center.